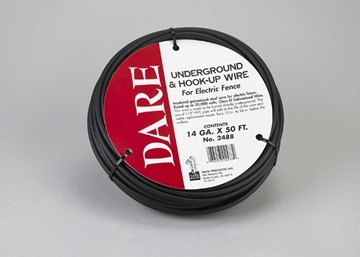 Quality electric fencing supplies by Dare Products, Inc. 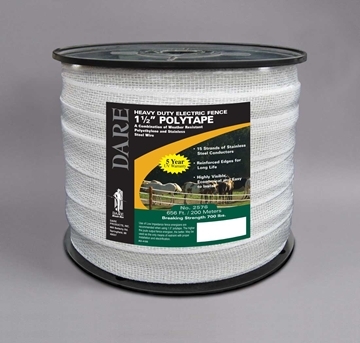 Hog Slat stocks and distributes a complete line of electric fencing wire, polywire, polytape, insulators, fence posts, supplies and chargers to help you keep livestock or pets contained and safe. Whether you need to install a new electric fence or repair an existing electric fence, choose Dare Proudcts for their proven quality and great value. Package of 3 warning signs. Printed on both sides. 4" x 8" dimensions. 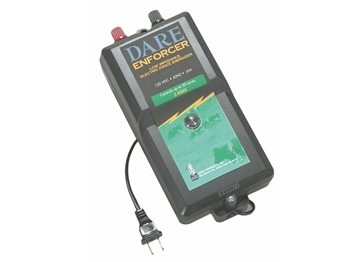 DARE electric fence tester allows easy fence testing in the field to find faults for repair. 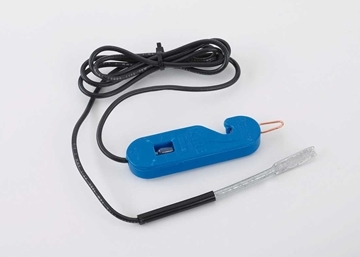 DARE Five-O-Lite electric fence tester. 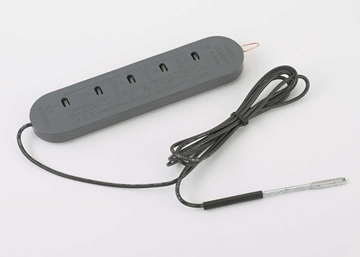 Reads up to 5,000 volts. 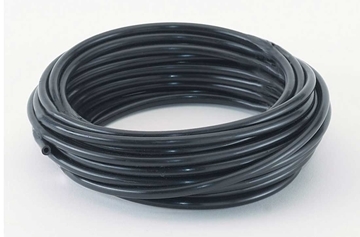 Black polyethylene insulator tubing roll accommodates up to 12-1/2 gauge wire. 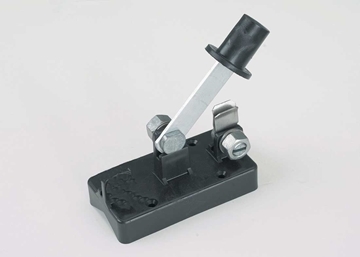 Single throw cut-off switch for electric fence wires. For outdoor use. 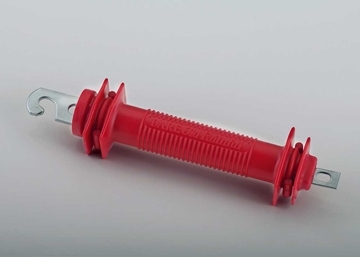 1 Amp fuses to fit most types of electric fence controllers. Pack of 5. 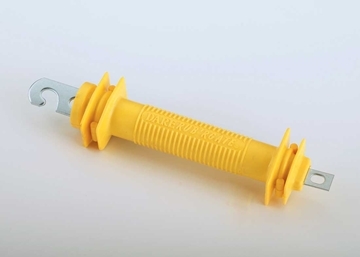 Perfect for underground use and to hook fence charges to fence. Designed for direct burial. 50 feet per roll. 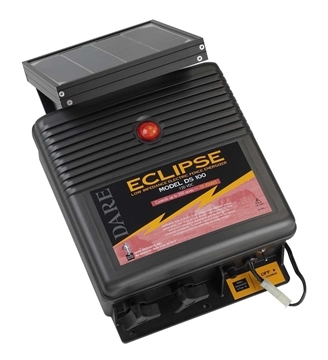 DARE Eclipse solar electric fence energizer with battery. Rated at 0.25 joule, will control up to 200 acres. DARE Enforcer 0.1 Joule output low impedance plug-in fence energizer controls up to 3 acres of clean fence. 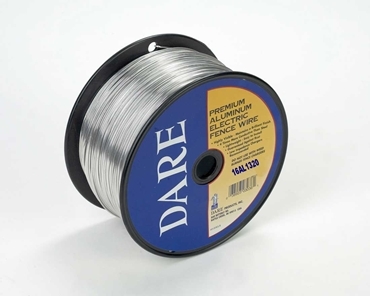 DARE 1/4 mile roll of 16 gauge aluminum electric fence wire. 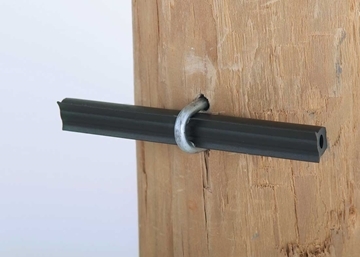 4" polyethylene insulator tube for wood posts. Package of 50. 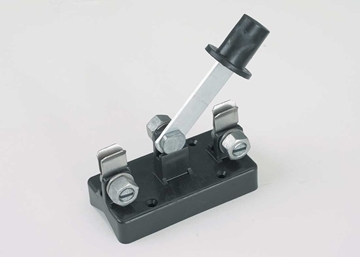 Double throw cut-off switch for electric fence wires. For outdoor use. 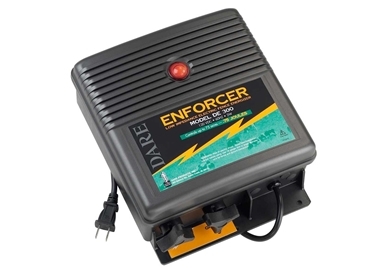 DARE Enforcer 0.3 Joule output ultra low impedance plug-in fence energizer controls up to 20 acres of overgrown fence. 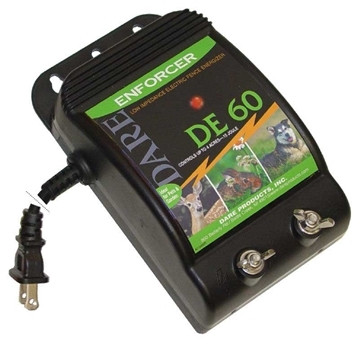 DARE Enforcer 0.75 Joule output low impedance plug-in fence energizer controls up to 75 acres of overgrown fence. 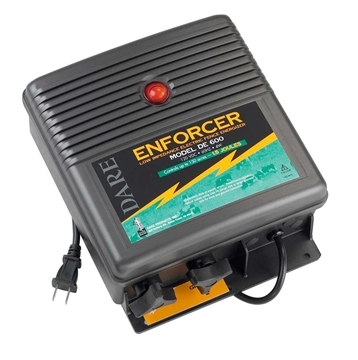 DARE Enforcer 1.5 Joule output low impedance plug-in fence energizer controls up to 150 acres of overgrown fence. 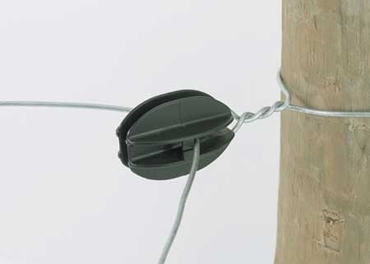 DARE Black Widow electric fence wire insulator with galvanized nail for wood posts. Package of 25. 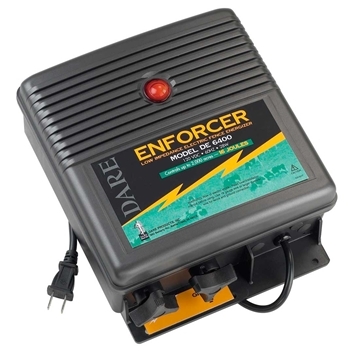 DARE Enforcer 16 Joule output ultra low impedance plug-in fence energizer controls up to 2,000 acres of overgrown fence. 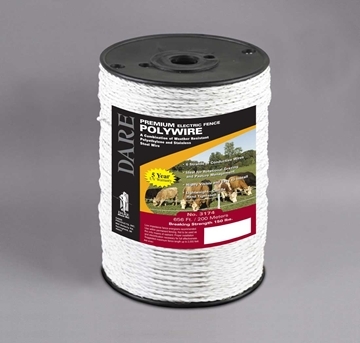 Heavy-duty white UV resistant polywire cord for electric fences. 656 feet (200m) per roll. 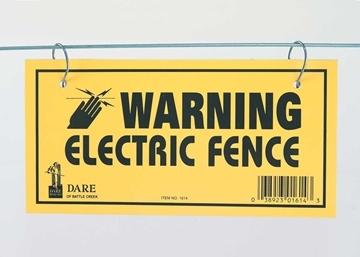 DARE Rub'RGate® yellow rubber gate handle for electric fences. 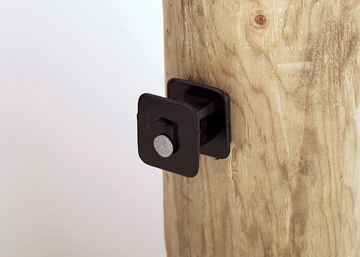 DARE black electric fence wire insulator for wood posts. Package of 25. 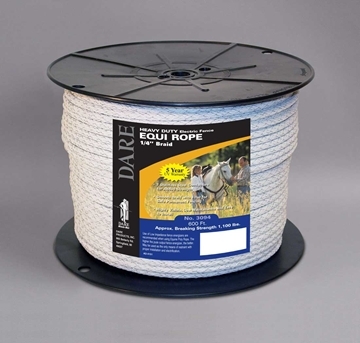 6mm Braided HDPE & polyester mix fence rope with 7 strands of stainless steel conductor wires. 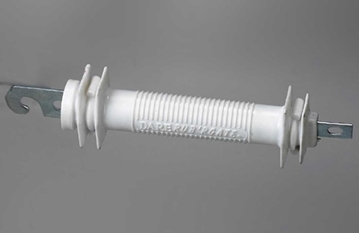 DARE Rub'RGate® white rubber gate handle for electric fences. 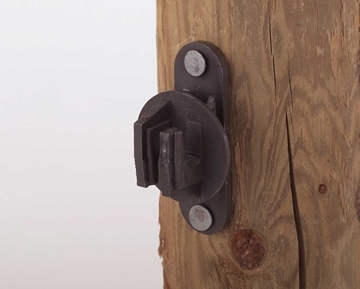 DARE "Old Faithful" red gate handle for electric fence wire. 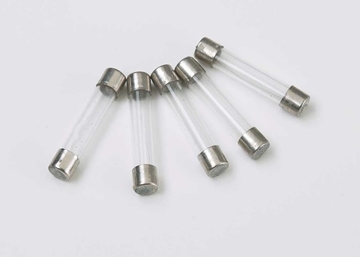 Woven white UV resistant polyethylene with stainless conductor wires. 1-1/2" wide. 656 feet per roll.